Hard disk drives have evolved into many distinct families to cater to different requirements – performance, low cost storage, NAS, surveillance, etc. They often emphasise one attribute over others, to meet the requirements of their target market, while keeping costs low. But what if you wanted nothing but the best in hard disk drive technology? That’s where datacenter-grade hard disk drives like WD Gold come in. Qualified for nearline storage use in datacenters, datacenter hard disk drives like WD Gold (Lowest Price) are designed to offer high storage capacities at maximum performance and reliability while operating continuously 24 hours a day. Virtually no expense is spared in making these drives the gold standard in HDD technology. 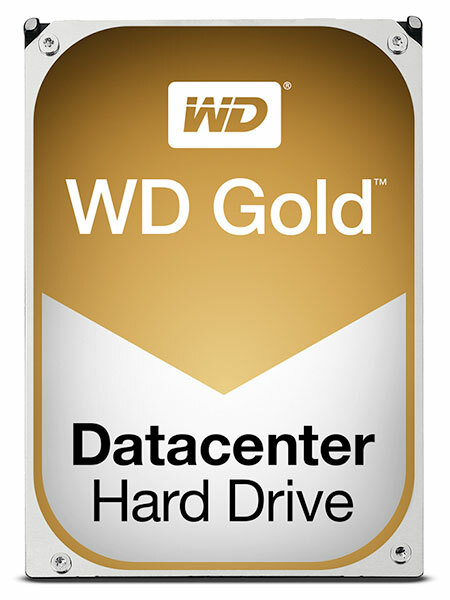 That is likely why Western Digital gave their datacenter drives the WD Gold moniker. Let’s take a quick look at why the WD Gold drives are the best hard disk drives in the industry. 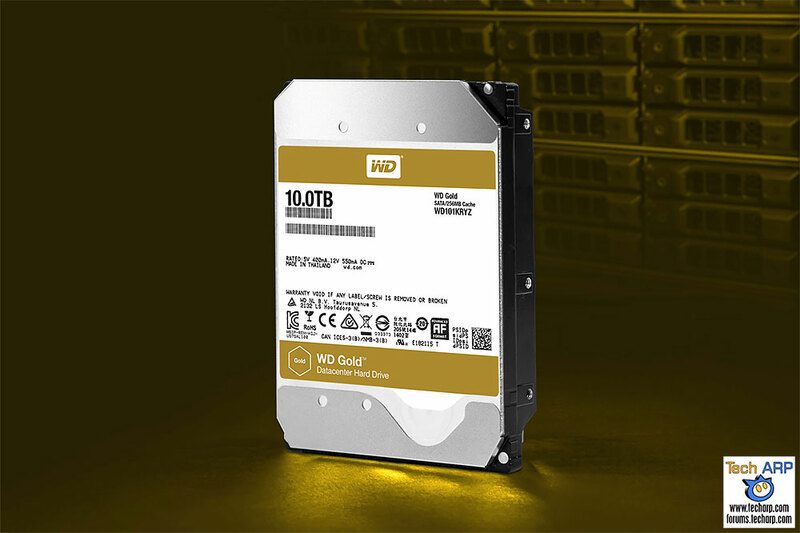 The WD Gold (lowest price on Amazon) is available in storage capacities from just 1 TB, all the way to the industry-leading storage capacity of 10 TB. Unlike desktop-grade performance hard disk drives, the WD Gold (Lowest Price) is designed for peak performance at all times. While they may be classified as datacenter hard disk drives, the WD Gold drives can certainly be used in any desktop or consumer system. On top of a 7,200 RPM spindle speed, the WD Gold also boasts a large (128 MB or 256 MB) SDRAM cache, and the HGST Media Caching Technology. They both help to sustain a high read and write throughput from the WD Gold drives. The WD Gold (Lowest Price) drives are designed to handle high workloads (up to 550 TB per year) continuously for years. They boast a phenomenal mean time before failure (MTBF) of 2.5 million hours. That is partly due to vibration control technologies like the Enhanced RAFF (Rotary Acceleration Feed Forward) technology, and extensive testing. To ensure the best possible 24×7 reliability, the WD Gold (Lowest Price) drives undergo rigorous tests in the factory before they are certified for use. They are also extensively tested with a wide variety of systems, controllers and adapters to ensure maximum compatibility and ease-of-installation into any storage system. The WD Gold (lowest price on Amazon) is designed for the most arduous and demanding conditions in the datacenter, but it doesn’t mean you can’t use it in a less-demanding desktop environment. In fact, tech enthusiasts who want nothing but the best hard disk drive and can afford to pay for the bespoke quality, can buy and use the WD Gold in their desktops or even NAS systems! We tested the WD Gold extensively in our 10-page review, and came away very impressed with its performance. It was not just fast, it was also quiet and it ran really cool. That is why we awarded it our Reviewer’s Choice Award. Now, the lower cost of ownership may not matter much for a desktop user with a couple of WD Gold drives, but it matters a great deal if you are running a datacenter with tens of thousands of servers. The WD Gold (Lowest Price) drives will not just reduce downtime from drive failures, they will greatly reduce the TCO (Total Cost of Ownership). For more information, you can take a look at our in-depth review, or visit the official WD Gold product page. This post was sponsored by Western Digital. Previous : MaxisONE Deals – 4G Smartphones At Just RM1! can I used WD GOLD as my main drive(to install my operating system on). If not, which drive would you recommend as my main OS drive. SSD is too expensive right now. I am looking for a 3TB hard drive. Hi, you can definitely use the WD Gold as your main drive. However, it’s very expensive. If you want a fast 3TB drive, you can consider the 3TB Black drive instead. Or an SSHD.